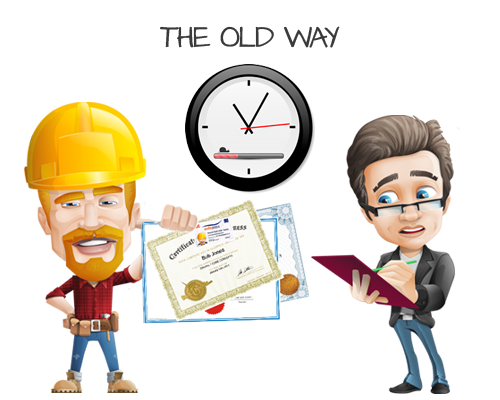 The Fast, Easy and Accurate way to Check Contractors certificates and credentials. Too much time is lost labouriously checking each employee’s credentials, and it’s also prone to error. With QualEpass, you can get more done in the time available. Our mobile app is the fast and accurate, so you can easily check certs. 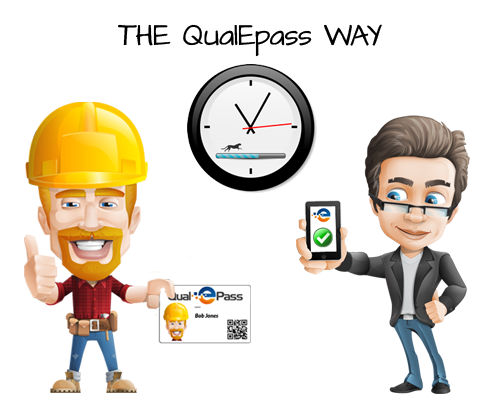 The contractor uploads and manages their employees’ certs to their account in QualEpass. The contractor is then issued with a unique QualEpass ID number and smart card. You can use this number or smart card to check the contractors’ credentials using our mobile app or web portal. Job Done, Fast and Accurate. It’s a win-win all around, No outdated folders, email attachments or Dropbox folders to sort through to see if certs are valid. 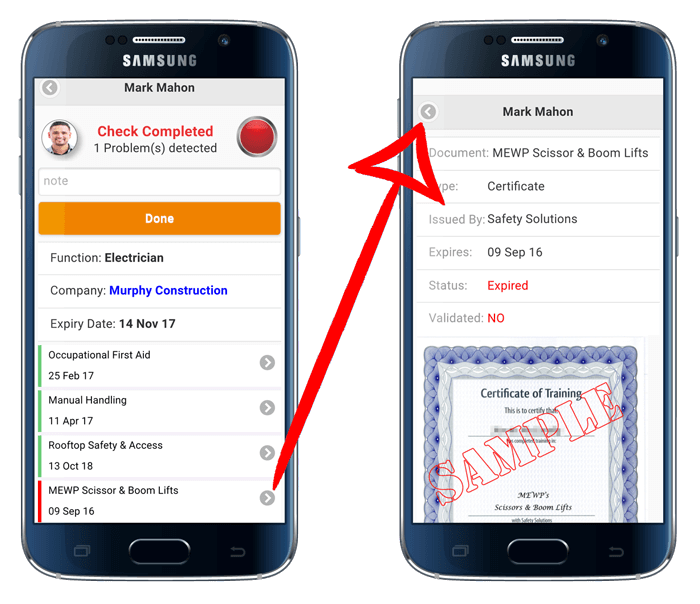 When you scan a QualEpass ID card using our mobile app, you can instantly see that person’s certs and whether they are in date or not. Any information is available at a glance. Once you’ve scanned an employee’s QualEpass ID card, you can easily browse through each cert or document they have, and see any important details. If any notes have been added to a cert, these can viewed and updated as well. Meet our tools for the jobs to be done. 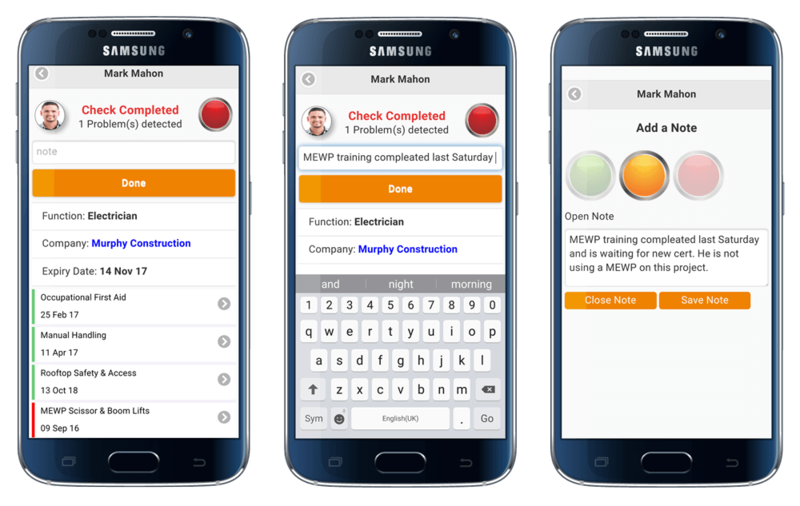 Using the QualEpass mobile app and ID cards you can check the credentials of not only your workers but also your equipment. We’ll do everything we can to make your tasks and credential management easy! Store your credentials and certificates online with us. All of your training records, certificates and data are safe, secure and available whenever you need them. QualEpass is fast and easy to use, allowing you to save valuable time and increasing productivity. Manage your certificates and records easily, so you stay on the right side of the law and regulations. E-mail reminders are sent automatically, so you’ll know well in advance when a certificate is coming due for renewal. QualEpass can help ensure that you and your company stay compliant with any and all regulations. Login into your account online at any time. You’ll have full control over uploading and managing your certs. With the QualEpass ID card, you’ll never need to carry around any important certs or documents to sites again. Want to learn more about QualEpass?